Club La Costa World, a leading resort property developer and operator of holiday and leisure products around the world, has partnered with Give Us Time, a charity that helps military families adjust to life after combat, to provide a break away for soldiers in need of quality time with their loved ones. From the 10th to the 17th October, the Club La Costa Kusadasi Golf and Spa Resort in Turkey became home to 46 military personnel, mostly from the Gurkha and the Woolwich Barracks regiments, and their families. The event was arranged in partnership with Give Us Time, which was launched in 2012 by Dr Liam Fox MP and aims to assist military personnel in need of rest, rehabilitation and reconnection with their families. Nine families affected by the earthquake in Nepal earlier in the year, were chosen from The Queen’s Own Gurkha Logistic Regiment based in Aldershot. Six soldiers and their families from the Woolwich Barracks where Lee Rigby served were also nominated by their welfare officer as being in need of a holiday following deployment. 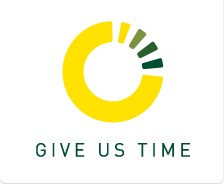 Club La Costa World, has been a supporter of Give Us Time since the initiative was launched three years ago. Originally offering 20 holidays, it is now one of the charity’s biggest donators, providing 40 holidays at their resorts around the world in 2015. The Club La Costa Kusadasi Gold and Spa Resort is located in the beach resort town on Turkey’s western Aegean coast, set on the hillside with views of the national parkland and the Aegean sea. Club La Costa organised for 15 apartments at the resort to be made available, as well as ensuring the families were greeted with snacks and child-friendly cocktails upon arrival.